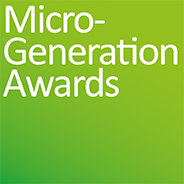 To enter the Micro-Generation Awards you will need to pay the entry fee for each entry you make in any of the Innovation, Project or Discipline categories. There is no charge for entering one of the five categories for People in Micro-Generation. If you are entering one of Innovation, Project or Discipline categories you pay for your entries, online, at the time of entry and you will be taken to the payment page when you click the Submit button at the foot of the entry form. This may take a few seconds to load, so please be patient. The first entry made by a company will always be £150.00. Any company wishing to make a second or more entries may do so at the lower rate of £75.00 per additional entry, simply by clicking the “This is a secondary entry” check box on any subsequent entry form. We will monitor entries carefully and if, for any reason, you pay too much, we will immediately refund the overpayment. Charities and not-for-profit organisations may enter and will only be charged 50% of the relevant entry fee. Please make sure you tick the “Charity/Not-for-Profit” box at the top of the entry form. Any organisation entering at the lower rates should be able to provide their Charity number, or their Limited by Guarantee registration number. UK Value Added Tax (VAT) will be added to the entry fee when applicable and the payment page should automatically show you the correct amount to pay. The fee is an administration fee covering the personnel costs involved in checking entries and their bona fides, collating all entries and bookmarking them in portfolios for the ease of the judges, convening the judging panels, supervising the judging process and events, covering any expense items associated with the judging, calculating all marks to establish a benchmark for all categories, compiling and publicising the short lists of finalists. Each entry must be paid for separately and will incur a fee. When you complete your entry you will be taken to the payment page, where you will be able to pay for your entries using any internationally recognised credit or debit card, via the PayPal for Business system.